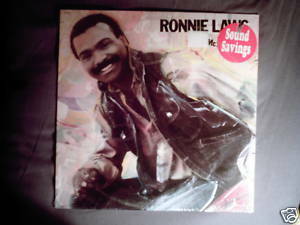 Capitol ST-12261 vinyl LP (1983) Ronnie Laws Mr. Nice Guy Can't Save Tomorrow/(title)/In the Groove/Third Hour//You/Big Stars/Rolling/What Does It Take/Off and On Again Ronnie sings and plays soprano and baritone saxes, piano, Prophet and OBX synthesizers, bass Paul Jackson Jr. plays guitar on In the Groove Still sealed. Cutout notch in upper left corner. Slight wear on lower left corner.